Genesis Health Club was founded in 2005 with the primary purpose to change the way you think about exercise, to make you love exercise and be part of your everyday life. 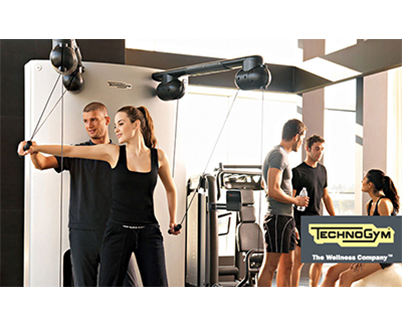 Our job is to help you achieve your own goals with the most innovative methods of exercise. A perfect environment to recharge, to achieve and maintain better health and physical strength under the guidance of experienced staff. Using your body weight and the functional exercise improves our physical endurance due to adaptability of anyone can do, regardless of age, weight or fitness level. Traditional postures of yoga with the use of elastics acquire another interest. Also feeling of swinging and fun create mental and emotional bliss. The oldest system to approach the human being and a balanced lifestyle. Transcend your limits in conjunction aerobic exercise and muscle strengthening exercises and achieve immediate improvement in your fitness and increased metabolism. Divide in groups and exercise with stations. Take a break? Not so easily... work out varying the intensity. 30' Stretching to increase flexibility, mobility and injury prevention. 30' to empower your core! A program inspired by martial arts combined with music. A combination of martial arts movements with music and sacks, quite widespread in Total fitness. Time to put your gloves! Japanese training method, explosive performance with impressive results. The secret is the short but intense exercise with short rest intervals. Start with the simplest steps and discover the world of step!!! Known value in the field of fitness. Muscle toning ripped with the tires. A program with bars and dumbbells with target muscle empowerment.